We want to provide the very best service to our customers. This means that for the home seller, We want to ensure that every home listed through Rountree Realty is given the attention necessary to properly promote it in the marketplace, and that every buyer that we assist receives everything they need to find the home they’ve been looking for. A key part of providing the best service to our customers is to provide them with the guidance and support needed throughout the entire selling or buying experience. We make sure that buyers can use our site to review appropriate listings, receive email alerts on new propertiescoming on the market, and provide access to useful information needed to help them make a good purchase decision. For sellers, my site is the first of many listing sites I will use to promote their property and it provides the foundation of listings I place on Internet real estate sites such as Google Base, Trulia, Zillow, Yahoo & AOL Real Estate, Walmart, Homes & Land, and over 20 others. Your satisfaction is our top priority! 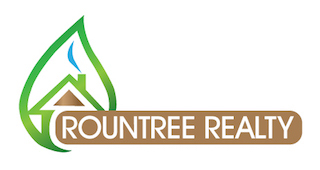 Rountree Realty will take the time to listen to your needs and desires and help you find your dream home. Rountree Realty will get your home sold for top dollar and in a timely manner. My online and offline marketing programs give us the edge needed to make this possible. Ultimately, providing great services is a personal commitment that we make to our clients to do what’s necessary to gain their trust and satisfaction with our service. When purchasing a home, you are faced with a multitude of decisions! The primary one is whether you are actually prepared to purchase a home. Locating the perfect home is not always an easy task, and obtaining a mortgage loan can be a complex and tiring process. Although, once you have determined that you are ready to move forward with the required effort towards your home-purchasing goal, the rewards are unquestionable.